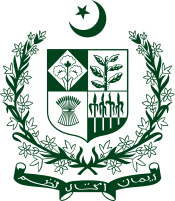 The Prime minister Secretariat National Security Council is a consultative body that is chaired by the President of Pakistan and Prime Minister of Pakistan. It is a principal forum that is mandated for considering national security and foreign policy matters with the senior national security advisors and Cabinet officials. The National Security Council was created by then-President and former Chief of Army Staff (Pakistan) General Pervez Musharraf in April 2004 under the National Security Council Act. The function of the Council has been to advise and assist the President and Prime minister on national security and foreign policies. The Council serves as a forum for consultation for the president and the federal government on matters of national security including the sovereignty, integrity, defence, and security of the State and crisis management in general. It may also formulate recommendations to the president and the federal government in such matters. This page was last changed on 31 May 2018, at 08:19.